Newport Beach’s central government complex emphasizes transparency, sustainability. Medical clinic in the Dallas suburbs features a contemporary facade of perforated metal panels. 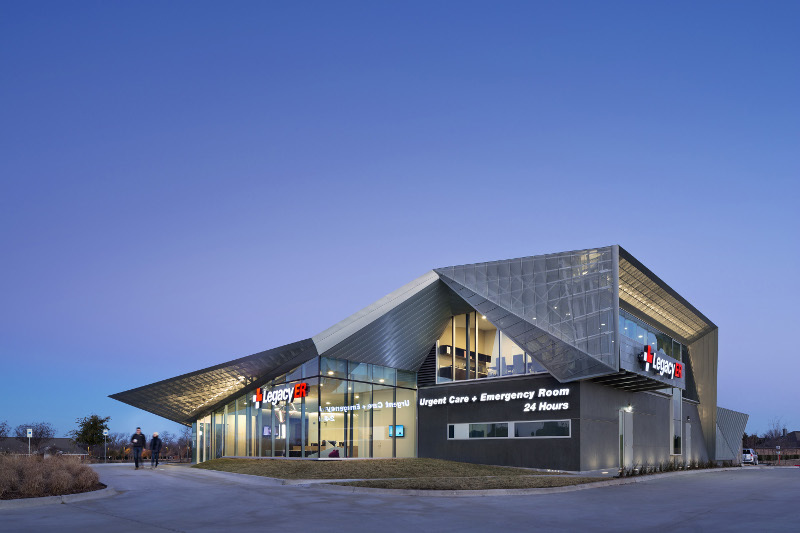 When Legacy ER commissioned 5G Studio to design an emergency care facility in Allen, Texas, the architects seized the opportunity to define an emerging building type. One of a growing number of freestanding emergency care centers (FECCs) popping up across the United States, the Legacy ER in Allen combines an emergency room and urgent care clinic under one roof. 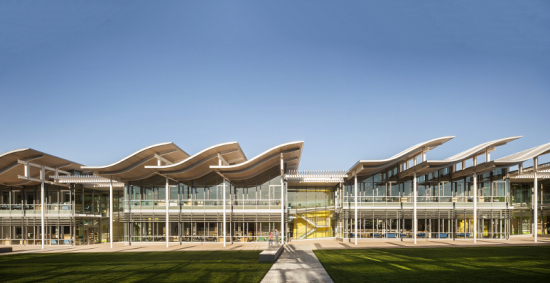 The Allen facility is the second collaboration between the care provider and 5G Studio, who also designed Legacy ER’s FECC in Frisco. “Based on the Frisco project they saw it as a strength to their brand to design an outstanding facility,” said partner Yen Ong. “Architectural identity is one of their brand hallmarks.” Inspired both by traditional domestic architecture and the image of a physician’s robe, Legacy ER – Allen’s sculptural zinc facade punctures the monotony of its suburban surroundings.